A Business Broker can help a buyer to determine exactly what type of business he/she is looking for, based on the buyer’s goals and financial picture. The business broker can then locate and evaluate businesses that meet the buyer’s criteria. A business broker can handle all aspects of the transaction, including negotiating the price and the terms of the acquisition and assistance in securing financing. The process of buying or selling a business requires dedicated, professional attention. Facilitating a business transfer is a full-time job! You deserve someone who will work as hard as you do. A qualified Broker will save buyers money by helping them to avoid costly mistakes, and do it all with complete confidentiality. In every-day life your home and your automobile are rightly assumed to be your largest assets. However, when it comes to business ownership, the business value usually takes first place. Therefore, you want to secure the best possible advisor for the purchase of your largest asset. 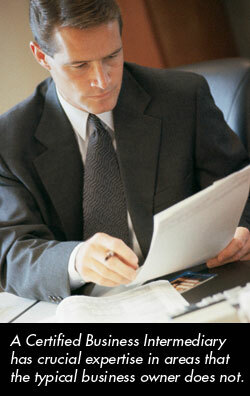 A business broker adds tremendous value to the purchase of a business. The process of buying or selling a business can be time consuming. Thankfully, for your business broker it’s not the first time. Business brokers have the experience to navigate the process of buying a business, and will guide you through it. Even more important, business brokers know how to properly value businesses and structure terms to ensure that you get the best deal possible. Using a business broker will mean having an experienced, knowledgeable partner representing you in the transaction. You will leave the transaction confident that you got the best price and the best terms possible. Business brokers have the knowledge and experience to help you reach your goals on the best possible terms, with the best end result for your bottom-line. If you are seriously considering buying a business don’t take any chances – put the experience of an Atlanta Advisory business broker to work for you.